You’ve got to send the function the ID you’re trying to get the medium images for. There are a lot more things you can find out by analyzing wp-includes/gallery.php. A picture [of my cat] is worth a thousand words. This will also allow simpler embedding of video, audio, et al. I’m glad it’s finally live. EDIT: There seem to be a few kinks still with this feature — instead of having thumbnails, the site was loading the full images. This is obviously an issue. 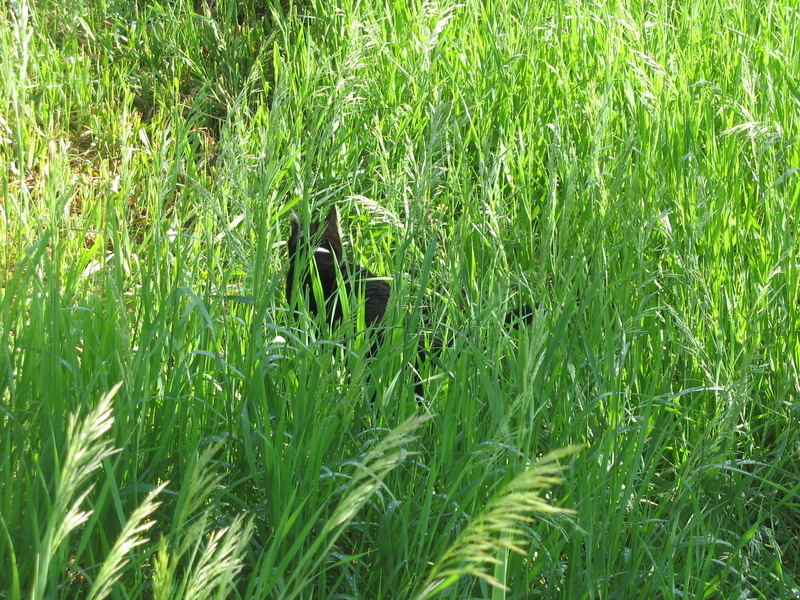 Until then, you get a thumbnail of my cat in the grass. 2.5 also recommends what tags to use based on tags you’ve used in the past. Unfortunately, that part is less responsive than I would like. It’s still neat to have available. The previous text editor for WordPress.com was so terrible, every time I tried to make a word bold, it added some round-about Safari-specific hack ( or something like that). Now it uses the proper code (strong), and I’m quite grateful. Now, I can actually write posts online, instead of writing them in Dreamweaver and then pasting the code in to WordPress. Very much improved. The text editor still does not create paragraphs when you view the HTML code; it displays paragraphs as line breaks. This is frustrating, because in the past it often lost all formatting. At least in this iteration, switching views between Visual and HTML keeps the formatting intact. The editor is a LOT more functional, the gallery is great, and well, what can I say? It’s a great success. Just wondering: who would want to use Blogger.com? Before this update, WordPress was just VERY superior to Blogger. Now it’s outright in a league of it’s own. I used blogger when it came out because, well, it was the originator of simple blogging. But man, it’s really outdated. Blogger is owned by Google, so you think it would be cutting edge, but every time I try to work with it, I end up hitting myself over the head. What advantages does Blogger have, if any?